Athletes make food choices on a daily basis that can affect both health and performance. A well planned nutrition strategy that includes the careful timing and selection of appropriate foods and fluids helps to maximize training adaptations and, thus, should be an integral part of the athlete’s training programme. Factors that motivate food selection include taste, convenience, nutrition knowledge and beliefs. Food choice is also influenced by physiological, social, psychological and economic factors and varies both within and between individuals and populations. This review highlights the multidimensional nature of food choice and the depth of previous research investigating eating behaviours. Despite numerous studies with general populations, little exploration has been carried out with athletes, yet the energy demands of sport typically require individuals to make more frequent and/or appropriate food choices. 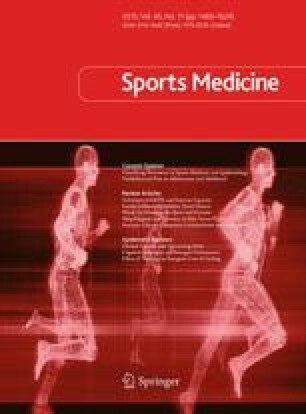 While factors that are important to general populations also apply to athletes, it seems likely, given the competitive demands of sport, that performance would be an important factor influencing food choice. It is unclear if athletes place the same degree of importance on these factors or how food choice is influenced by involvement in sport. There is a clear need for further research exploring the food choice motives of athletes, preferably in conjunction with research investigating dietary intake to establish if intent translates into practice. No sources of funding were used to assist in the preparation of this review. The authors have no potential conflicts of interest that are directly relevant to the content of this review.